What receipt printers do you recommend? 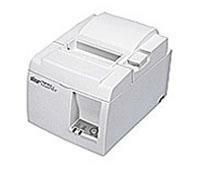 What receipt printers do you recommend to use with CenPOS? Does CenPOS support printing credit card receipts to a receipt printer from the web? If so what receipt printers does it work with and do you recommend? If the user can print to a laser, inkjet or other printer, the user print to a receipt printer. Install a driver just like with other printers. CenPOS is accessed via the internet by logging in to a secure web page, including the virtual terminal, electronic billing presentment and payment portal (EBPP), etc. When a transaction is completed by the merchant, a receipt automatically appears. In the virtual terminal navigation go to> administration> merchant> processing data tab, the merchant can turn on options to print, email, or both for receipts. When an email address is entered within the transaction, a receipt is automatically emailed. Epson TM-T20 Point of Sale Thermal Receipt Printer. Recommended as the lowest cost option for lower volume needs. It’s a very reliable printer. Price: can usually be found online under $175, as of first quarter 2013. This product has been on the market since at least 2008. It’s also a diehard and has options suitable for restaurants such as a food guard. Price: can usually be found online in the low $200 range, as of first quarter 2013. Both of the above printers can be used as wireless units with an additional interface. Wireless receipt printers are higher cost to purchase and have higher paper costs too. This entry was posted in CenPOS, knowledege base and tagged CenPOS, pos equipment, receipt printer by Christine Speedy. Bookmark the permalink.